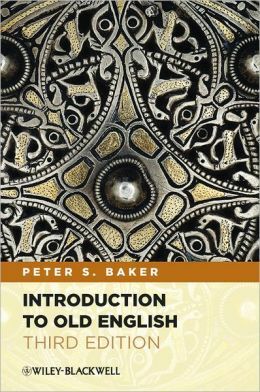 This book is one of very few in-depth, traditionally-designed textbooks for Old English that I was able to find in my quests through libraries and linguistics departments. With this book, you can self-teach yourself Old English to the point of enough fluency to read Old English literature, some of which is included in the end of the book, featuring classic staples such as “The Wanderer”, “The Wife’s Lament”, and “The Life of St Aethelthryth,” just to name a small sample. As the book progresses, the difficulty and complexity of the lessons increases, building on the simpler, basic lessons of the first chapters. By the end of the book, the text consists mostly of raw Old English literature itself, and lessons are drawn from these readings alone. That said, the pace of the textbook is indeed fast — the book demands work, time, and attention; it does not make Old English a cakewalk — but the language is presented in a simple and straightforward manner, with a clear glossary and plenty of exercises, charts, and drills, such that anyone with the dedication and desire to learn Old English should be able to do so soundly with this book. Thus, I would recommend this book to those seeking to expand their knowledge of the Middle Ages and of their own language — the similarity between Old English and the aptly-named Modern English being very apparent in this text — with one utterance of caveat discipulus. (And yes, that’s Latin, not Old English.) Sometimes the declension/conjugation tables are difficult to understand. The text can be placed tightly within the chart and the charts are not always labelled clearly, so I had to do a lot of staring on some of them before I understood which declensions/conjugations were which. For this reason, I would give the book a rating of four out of five. However, the tight and at times ambiguous charts are a minor issue for an otherwise strong text.